Our Atlanta headquarters office is in the M Building at 101 Marietta Street, on the 33rd floor. We’ve been in this office since 2005, and we plan to stay. Our office is in the heart of downtown Atlanta, close to all federal and state courthouses. We are a block away from the Eleventh Circuit Court of Appeals, about three blocks away from the United States District Court in the Richard Russell Building, and a short drive to the Fulton County Courthouse, Supreme Court of Georgia and Georgia Court of Appeals. Our criminal defense attorneys defend people charged with federal crimes in Atlanta, Gainesvile, Rome, Newnan, Athens, Macon and all across Georgia. We also represent people charged with serious state crimes in all Metro Atlanta counties, including Gwinnett, Cobb, Fulton, Dekalb, Clayton, Paulding, Walton, Forsyth, Douglas, Henry, Cherokee and Newton. We also help people win tough civil cases in court. We have won major verdicts and settlements in cases involving serious injuries and wrongful death when the first offer isn’t fair or reasonable. And our attorneys are recognized as among the most successful whistleblower lawyers in the country, having helped recover many millions in whistleblower rewards for our clients. 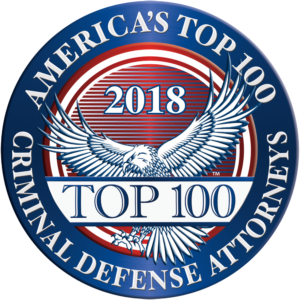 If you need one of the best law firms in Atlanta to represent you or a loved one in a serious criminal or civil case, feel free to call our office for a consultation. Our attorneys will review your case at no cost or obligation to you and we will let you know if we can help.